Moved to Iowa between 9th and 10th grade; what a bad time to change schools!!! Would have like to have stayed in Illinois, but that's ancient history! I have had a good life and look forward to many good years to come! Would love to hear from some former Lakewood Junior High people from the early 1960's. 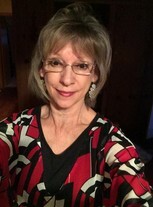 Janet Balcom Graham updated her profile. View. Janet Balcom Graham posted a message. Hope you have a very Happy Birthday, Phyllis! While I moved away between Lakewood and Crown, I have enjoyed "hearing" about classmates from the junior high days! Haven't been back to the Carpentersville area in many years but just might plan a trip.